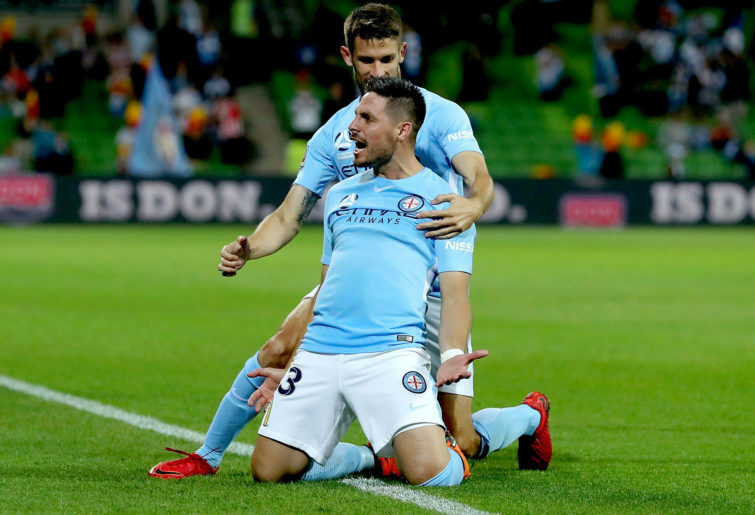 I would say the reason behind this is that Melbourne City are looking to get something for Fornaroli who wants out, while the Perth Glory are looking to fill their second marquee spot. Today, a passionate and pessimistic Perth Glory fan, me, will do an investigation as to whether this is a good trade or not. My first thought when I heard this rumour was, are you serious? For a team that has already made drastic changes to its squad in the Perth Glory, currently at the top of the ladder, and then wants to get rid of the player who has scored 7 goals in 11 games (and has been their captain for most of the games due to Diego Castro being injured). In the tactical side of things, Warren Joyce is currently playing youngster Lachlan Wales up top, on his own, in a 4-2-3-1 formation. What you want to see in the 4-2-3-1 formation is that the wingers are quick, skilful dribblers that can get into the box, while the Attacking Midfielder is usually someone who can play through balls to the striker or the wingers. Keogh doesn’t really fit into that. He’s strength is his heading. He likes having those 2 wingers that can push up like the 4-2-3-1 formation, but also another striker which is how he has a few assists this season. For that reason, Tony Popovic’s 3-4-1-2 formation suits the Irishman the best, as Jason Davidson and Ivan Franjic can be those people looking to assist the headers, and Chris Ikonomidis or Joel Chianese to be the other striker that he can assist or be assisted by. What about Fornaroli in a purple jumper? Bruno Fornaroli is similar to Andy Keogh, apart from maybe one thing. Fornaroli basically likes to play as a lone striker waiting to receive those through balls from the Central Attacking Midfielder. This means he would basically fit perfectly in the current Melbourne City team. If the Glory were to sign Bruno Fornaroli, he would turn the team into a lone striker formation, and that won’t work. Ikonomidis will have to play as a winger which means he can’t score goals as much. And Ikonomidis being a winger, would push Jason Davidson and Ivan Franjic back into a boring full-back role. You may argue that Fornaroli is the better player and I should be happy being a Glory fan. That’s a fair point. The Uruguayan’s goal rate is around two goals every three games, while Keogh’s is around one every two games. Although when I heard this my anger was in a different place. Let’s go in a time machine and rewind back to about 2012 and send Steven Gerrard to Manchester United in exchange for Wayne Rooney heading to Anfield, its just not going to happen is it? The rivalry between Melbourne City and Perth Glory is nowhere near as big as Manchester United and Liverpool, but it is a weird one. The Perth Glory is Melbourne City’s bogey team. 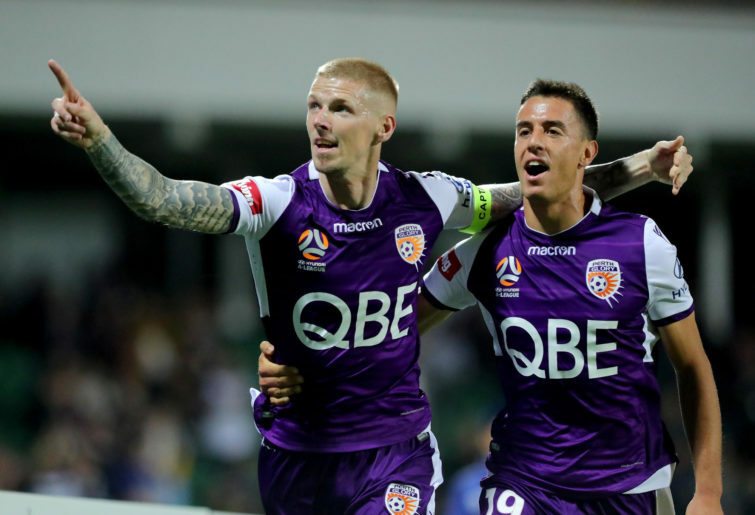 There was that game in the 2016-17 season at NIB Stadium where the Glory beat City 5-4, and then a week or two later the Glory prevailed again at AAMI Park in the Quarter Final 2-0. Then earlier this year, in a game I attended, when Adam Taggart scored a last minute header right in front of where I was actually sitting, to win 2-1. Bruno Fornaroli and Andy Keogh have played in so many of these games that I don’t see how you can welcome them with open arms. I won’t be. I certainly don’t want someone who has brought a fair amount of pain to my club, and then just have them play for the club. Will Melbourne City fans think the same? Maybe ask some. So in conclusion, this swap probably won’t work on the tactical side and the fans or cultural side. Next week, I’ll be previewing the Socceroos Round of 16 clash, if they get there.